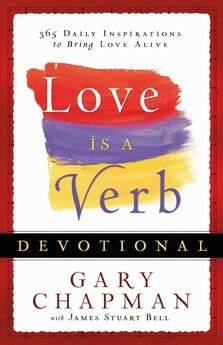 The Chicken Soup for the Soul Book "True Love" is now out. Good read for those who like short stories that are like Lays Potatoe chips. You can't just read one. Merry Christmas! They make great stocking stuffers. My story is titled Loathing at first sight. But rest assured it has a happy ending. Next April two more of my stories may be published in "Chicken Soup for the Soul." "Thanks Dad" will be the book title. Yahoo!! I finally broke down and bought a new DVD player. The time had come to retire my old worn out VCR. The problem was I had no DVD’s to play on it, which of course lead to buying some movies. K-Mart of course doesn't carry much except the usual Hollywood garbage of which I bought 4. Two of them were absolutely awful and I shut them off after just a few scenes. UGH! The garbage they call movies these days is unbelievable. Anyway. Yesterday I went to the local Catholic bookstore and purchased some Catholic ones. I was lamenting that many seemed produced in Europe and I would have to read subtitles which I hate, but it had to be better than the garbage they put out for entertainment here. 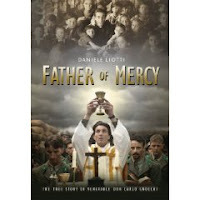 The first one was in English and was fantastic even though I had already watched it on EWTN. The next one I watched today, sub-titles of course and I am absolutely astounded by the life of Venerable Don Carlo Gnocchi (pro-nounced - No-Chi) I was so interested that I googled some more about him and to my delight, I discovered he will be beatified tomorrow. I highly recommend this film. What wonderful servants of God we have in Heaven. He founded "The Don Carlo Gnocchi Foundazione" for disabled children which is well-respected and continues to thrive in Italy today. It has expanded its care to elderly people who are unable take care of themselves and for terminal cancer patients. On January 17th, 2009 a miracle attributed to Venerable Don Carlo Gnocchi was promulgated by Pope Benedict XVI and he will be beatified on October 25th, 2009. Another Story in CSFS Series. Dogs have always been considered companions and playmates that brighten and enrich our lives but they are also wonderful and amazing teachers. The lessons we learn from our canine friends come in all shapes and sizes, just like they do. In this book, dog lovers share what they have learned from our greatest heroes and healers. Chicken Soup for the Soul: What I Learned from the Dog will delight readers with humorous, heartwarming, and inspiring stories about lessons our canine friends and family members have taught us. My Story is Titled "Bargain" (Original Title was "A Mutt Named GYP." It is about my Dog who I had named "Chip." I got Chip when I was eight years old from my Great Aunt Kitty while on a spring vacation in 1955. My Dad called him "GYP" (as in worthless,) because he loved to chase the chicken's ( and unfortunately killed a few) as well as chasing our cattle. That is a bad trait for a farm dog. But he was the best medicine a shy and soon to be crippled eight year old could ever receive on that spring vacation, before Polio struck and turned my world upside down. Yahoo! Just got another story accepted for a "Chicken Soup Book, due out late December. "True Love Story" is the book in this series. My other story will be published in September in the "What I learned from the Dog" book in the Chicken Soup for the Soul series. Maybe they will soon have one titled "How I survived my home renovation." Boy could I write a novel on that one. Giggle! Busy Days...Finally got over writers Block. I have another of my short stories which was accepted for September Publication in Chicken Soup for the Soul "What I learned from the dog!" Now there was a subject I could sink my teeth into. I have had lots of special dogs in my life, but Old Gyp was one of those Marlie type mutts. He definately had wiley ways and was lovable even when he was being a totally out of control canine. Of course I did not put in the part about how he ended up dying of LEAD poisoning. Gyp unfortuneatly had a bad habit of killing chickens and a farmer decided to take Gyp into eternity. Farm dog he was not. But he was my best buddy when I was 8 years old. 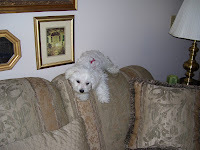 Of course my Gabby, is another out of control canine, but then she is spoiled. And finally I got a new photo taken. Absolutely hate the preview so I doubt I will buy any. They messed it up...I look nothing like Ann Margaret in the picture they took. I have no idea who that old lady is they claim is me. Sounds like a weird greeting to me, as Memorial day is about honoring our war dead. Society it seems has all but forgotten, that this weekend is not about the first summer weekend, swimming and picnics. It is about honoring those who served and paid the ultimate price for our freedoms. Remember to thank a soldier if you see one. They serve so we might be free. It has been One of those Days...actually, make that Nights! Ever been sound asleep after hours of tossing and turning, just to be rudely awakened by a telemarketers call? Well let me tell you, as a writer I tend to stay up late writing. Many days, the night turns into daylight before I actually go to bed. It’s one of the perks of being a writer. I can keep my own hours…at least in theory. Last night was one of those nights I actually went to bed at mid-night. That is the good news. Bad news, my post-polio kept me awake until 4:00 am. Finally, I managed to get comfortable enough to drift into a blessed sleep. AH! Dream land…truly a gift after hours of tossing and turning in pain. At 9:15 am the shrill ringing of the telephone woke me up. Since I was half asleep, and still writing a novel in my sleep…the conversation went something like this. Hello Mrs. Trollinger. This is Dish Network calling with a wonderful upgrade offer for your TV programming. Helllllooo! Cough! Who did you say is calling? OH! I’m sorry, did I wake you? You have been a big help to me. I think I will rewrite the first chapter. How does this sound. He builds a robot phone that doesn’t kill any telemarketers instantly. It just ties them up and tortures them for months in a room full of ringing telephones 24/7 and never lets them sleep.Finally they expire of sheer exhaustion. Do you think it would sell? Hello! Hello! HMMM>>> I guess they hung up. OH! Well, I think I will take a nap. I am sure to come up with another twist if I just sleep on it. In 1994 his album “Over the Hump sold more than 4.5 million copies throughout Europe. In Germany it is the biggest selling album of all time. Bigger than the Beatles. The group has sold over 50 million records worldwide. At twenty years old he was a teenage sensation, a huge rock star and lived in a 17th century castle in Europe He had all the riches, fame, fortune and the adulation of millions. His name is Paddy Kelly. He was born in Ireland to American parents. He was the star of the incredible singing group “The Kelly Family” He has eleven brothers and sisters and most sing in the band. They started out singing in the streets of Europe but quickly their incredible singing talents took them to the top. Paddy Kelly became a huge idol with adoring female fans. He needed body guards in public. He was hounded by paparazzi where ever he went and traveled by private jet and helicopters. He was recognized everywhere he went. He had it all... this amazing young man had everything, but despite the fame and money he began to feel empty, isolated.. He felt lost... He felt his soul was dying. He had lost his mother when he was five years old but toured the world with his family that gave him love and support. Even with thelove of his family he began to fall into depression even despair. It all began to break down for Paddy Kelly. He lost the sense of who he was and all his ideals and false securities began to break down. He felt like he wanted to end his life. Nothing made sense to him anymore. Material goods and money, not even music made him happy. This was when a deep search for the truth began. He asked himself “If all this doesn't make me happy then what is the sense of life. Why do I exists” . He then asked the question “Who can tell me who I am ? Who has the true answers to my questions. As he began to ask these questions, he realized he had no real friends he felt alone and empty. At a moment of deep crisis, standing on a ledge of his room he sensed in him a voice telling himto “Hold on Hold on” .. and after this moment passed he wept bitterly at what he almost had done. Soon after he began to search his spiritual side.. He read about eastern religion like Buddism even the Koran but it was the Gospels that seemed to pull him in a new direction. He felt the Gospels were alive. At a chance meeting with a gathering of priests near his palatial home the 17th century castle he felt his spirit grow. Still he struggled with depression and sadness and then one day...he was “zapping” his televison and by chance he came across a program about Lourdes, the shrine dedicated to a apparition of the Blessed Virgin Mary. His first thought was that it was “Only for blue-haired grandmothers and naive people who believe anything” But he felt pulled to Lourdes like a magnet. He decided to go. But he was certain that the town would be filled with “horrible plastic statues” and would be no place for a “rock star” to find God.So he went and to his surprise not only were “Gray haired grandmothers praying the Rosary but many young people dressed he thought “cool” and they liked rock and roll. He therefore joined the youth program. Then that evening with the youth group there came a moment of “Prayer and Silence” and during that moment he felt a simple yet a deep peace in his heart. He was experiencing a deep presence of someone inside of him. Wow! He thought God is accessible and this came to him through the Blessed Virgin Mary. 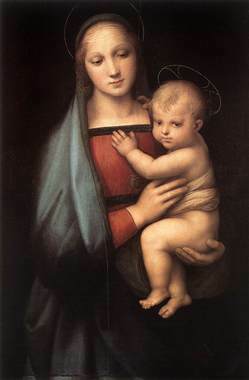 He realized that Mary was not some Christian myth, but no she was a person. He felt she was asking him to give life a second chance. He felt she wanted to help him and no longer felt alone. He had grown up Catholic but now he knew that he could meet God and that night he gave life a new chance. He was to live his life according to Gods will. He knew Mary had planted the seed of faith in Lourdes and now he also knew only through prayer could his faith grow. As his spiritual quest moved forward he found his brothers and sisters also saw that money and fame did not bring happiness. And in the summer of 2000 he and two of his brothers and sisters decided to go to the Youth festival in Medjugorje. Here he met Father Jozo and quickly through his words, counsel and abundance of graces a deep movement of conversion with God came to his brothers and sisters and in the months and years to follow. Through Mary, through Medjugorje, he finally came to know Jesus. He believed that God existed but he had not yet experianced the Holy Spirit in a deep and powerful way. He wanted to know if he was truly the Son of Man. He wanted to believe it and not just tell himself so or because the Church said so. He wanted to feel the interior confirmation of the Holy Spirit. Then one morning the Holy Spirit entered his heart in a real way. Today Paddy Kelly still sings but now as a seminarian a Monk. He goes by the name of John Paul Mary. We Have Lost a Giant: Richard John Neuhaus R.I.P. Droll of wit, upright of character, lover of Christ. Richard John Neuhaus, perhaps the most important and influential religious intellectual in the United States since the passing of Reinhold Niebuhr, died last night. A Canadian by birth, he was a Lutheran pastor who came to the United States and served as the minister of a congregation in a poor Brooklyn neighborhood. A liberal in the model of Niebuhr, Neuhaus found himself migrating rightward once the Supreme Court inaugurated the age of abortion on demand with the Roe v. Wade decision in 1972. In 1984, he wrote the book for which he will be remembered, The Naked Public Square — a concise masterpiece about the role of religion in a democracy and the danger posed to a democratic society in the notion that public life should be effectively atheistic. John Paul II's homily for 2002, reminds me that in this New Year of 2009, which finds the whole world in financial crisis, wars and uncertainty...we must not despair. God is with us, and His Mother teaches us to trust in Him, even though we live in very uncertain times. Let us all honor our Mother, and trust that God knows our every need. Let us trust Him, as Mary trusted Him. 1. "Hail, holy Mother! The Child to whom you gave birth is the King of heaven and earth for ever" (cf. Entrance Antiphon). With this ancient greeting, today, the eighth day of the Octave of Christmas and the first of the year 2002, the Church greets the Blessed Virgin Mary, invoking her as Mother of God. In her the eternal Son of the Father took our very flesh and through Her became "son of David and son of Abraham" (Mt 1,1). Thus Mary is his true Mother: the Theotokos, Mother of God! If Jesus is Life, Mary is the Mother of Life. If Jesus is Hope, Mary is the Mother of Hope. If Jesus is Peace, Mary is the Mother of Peace, Mother of the Prince of Peace. Entering the new year, let us ask this holy Mother to bless us. Let us ask Her to give us Jesus, our full Blessing, in whom the Father blessed all history once and for all, making it become the history of salvation. 2. Hail, holy Mother! I have placed The World Day of Peace under Mary's motherly gaze. Let us reflect on peace in this climate of widespread anxiety on account of the recent tragic events that have shaken the world. But although it may seem humanly difficult to look to the future with optimism, we must not give in to the temptation to despair. On the contrary, we must work for peace courageously, certain that evil will not prevail. The light and hope for this commitment come to us from Christ. The Child born in Bethlehem is the eternal Word of the Father who became flesh for our salvation, he is "God-with-us", who brings with him the secret of true peace. He is the Prince of Peace. 3. With these sentiments, I respectfully greet the distinguished Ambassadors to the Holy See who have wished to take part in this solemn celebration. I warmly greet the President of the Pontifical Council for Justice and Peace, Cardinal François Nguyên Van Thuân, and all who work with him, thanking them for all they do to spread my annual Message for the World Day of Peace, whose theme this year is: "No peace without justice, no justice without forgiveness". Justice and forgiveness: these are the two "pillars" of peace, and I wanted to draw attention to them both. Between justice and forgiveness there is not opposition but complementarity, because both are essential for promoting peace. Indeed, far more than a temporary ceasefire, this is the deep healing of the wounds that weary souls (cf. Message, n. 3). Only forgiveness can quench the thirst for revenge and open hearts to an authentic and lasting reconciliation among peoples. 4. Today we turn our gaze to the Child whom Mary holds in her arms. In Him we recognize the One in whom mercy and truth meet, justice and peace embrace (cf. Ps 84,11). In Him we adore the true Messiah, in whom, for our salvation, God joined together truth and mercy, justice and forgiveness. In God's name I renew my heartfelt appeal to all, believers and non-believers, so that the two words, "justice and peace" may always be impressed upon relations between individuals, social groups and peoples. This appeal is first and foremost for those who believe in God, in particular for the great "Abrahamic religions": Judaism, Christianity and Islam, called to declare their firm and decisive rejection of violence. No one, for any reason, can kill in the name of God, who is one and merciful. God is life and the source of life. To believe in Him means to witness to His mercy and forgiveness, rejecting the exploitation of his holy Name. An agonizing cry for peace is being raised from various parts of the world; it is rising particularly from the Land which God blessed with his Covenant and his Incarnation and for this reason is called "Holy". "The voice of your brother's blood" cries out to God from that land (cf. Gn 4,10); the blood of brothers poured out by brothers who hark back to the same Patriarch Abraham; sons, like every human being, of the same heavenly Father. 5. "Salve, Madre santa"! Virgin Daughter of Zion, how deeply must your Mother's heart suffer for this bloodshed! The Child you embrace has a name that is dear to the peoples of biblical religion: "Jesus", which means "God saves". So the Archangel named him before he was conceived in your womb (cf. Lk 2,21). In the face of the newborn Messiah, we recognize the face of all your children, who suffer from being despised and exploited. We recognize especially the faces of your children, to whatever race, nation or culture they may belong. For them, O Mary, for their future, we ask you to move hearts hardened by hatred so that they may open to love and so that revenge may finally give way to forgiveness. Obtain for us, O Mother, that the truth of this affirmation - No peace without justice, no justice without forgiveness - be engraved on every heart. Thus the human family will be able to find the true peace, that flows from the union of justice and mercy. Holy Mother, Mother of the Prince of Peace, help us! Mother of Humanity and Queen of Peace, pray for us!